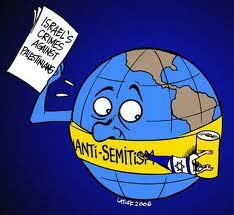 Promoting open discussion of Israeli policies and the ideology of Zionism which underlies them. Among the most disturbing political phenomena of our times is the emergence in the newly created state of Israel of the “Freedom Party” (Tnuat Haherut), a political party closely akin in its organization, methods, political philosophy and social appeal to the Nazi and Fascist parties. It was formed out of the membership and following of the former Irgun Zvai Leumi, a terrorist, right-wing, chauvinist organization in Palestine. The current visit of Menachem Begin, leader of this party, to the United States is obviously calculated to give the impression of American support for his party in the coming Israeli elections, and to cement political ties with conservative Zionist elements in the United States. Several Americans of national repute have lent their names to welcome his visit. It is inconceivable that those who oppose fascism throughoutthe world, if correctly informed as to Mr. Begin’s political record and perspectives, could add their names and support to the movement he represents. 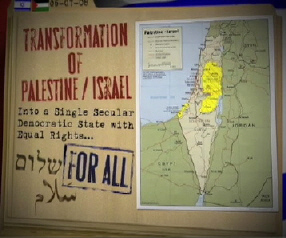 Before irreparable damage is done by way of financial contributions, public manifestations in Begin’s behalf, and the creation in Palestine of the impression that a large segment of America supports Fascist elements in Israel, the American public must be informed as to the record and objectives of Mr. Begin and his movement. The public avowals of Begin’s party are no guide whatever to its actual character. Today they speak of freedom, democracy and anti-imperialism, whereas until recently they openly preached the doctrine of the Fascist state. It is in its actions that the terrorist party betrays its real character; from its past actions we can judge what it may be expected to do in the future. A shocking example was their behavior in the Arab village of Deir Yassin. This village, off the main roads and surrounded by Jewish lands, had taken no part in the war, and had even fought off Arab bands who wanted to use the village as their base. On April 9 (THE NEW YORK TIMES), terrorist bands attacked this peaceful village, which was not a military objective in the fighting, killed most of its inhabitants ? 240men, women, and children – and kept a few of them alive to parade as captives through the streets of Jerusalem. Most of the Jewish community was horrified at the deed, and the Jewish Agency sent a telegram of apology to King Abdullah of Trans-Jordan. But the terrorists, far from being ashamed of their act, were proud of this massacre, publicized it widely, and invited all the foreign correspondents present in the country to view the heaped corpses and the general havoc at Deir Yassin. The Deir Yassin incident exemplifies the charac! ter and actions of the Freedom Party. Within the Jewish community they have preached an admixture of ultranationalism, religious mysticism, and racial superiority. Like other Fascist parties they have been used to break strikes, and have themselves pressed for the destruction of free trade unions. In their stead they have proposed corporate unions on the Italian Fascist model. During the last years of sporadic anti-British violence, the IZL and Stern groups inaugurated a reign of terror in the Palestine Jewish community. Teachers were beaten up for speaking against them, adults were shot for not letting their children join them. By gangster methods, beatings, window-smashing, and wide-spread robberies, the terrorists intimidated the population and exacted a heavy tribute. The people of the Freedom Party have had no part in the constructive achievements in Palestine. They have reclaimed no land, built no settlements, and only detracted from the Jewish defense activity. Their much-publicized immigration endeavors were minute, and devoted mainly to bringing in Fascist compatriots. The discrepancies between the bold claims now being made by Begin and his party, and their record of past performance in Palestine bear the imprint of no ordinary political party. This is the unmistakable stamp of a Fascist party for whom terrorism (against Jews, Arabs, and British alike), and misrepresentation are means, and a “Leader State” is the goal. In the light of the foregoing considerations, it is imperative that the truth about Mr. Begin and his movement be made known in this country. It is all the more tragic that the top leadership of American Zionism has refused to campaign against Begin’s efforts, or even to expose to its own constituents the dangers to Israel from support to Begin. The undersigned therefore take this means of publicly presenting a few salient facts concerning Begin and his party; and of urging all concerned not to support this latest manifestation of fascism. Please, can anybody else find the term, “Palestinian”, in this critique of militant Zionism, comment, attributed to Einstein & co.? I saw Arab, but no Palestinian! This 2015 web page,citation of Einstein, is highly critical of Zionism, especially the more classical liberal party of the freedom -Herut party! But in spite of Einstein’s critique of militant Zionist deeds, was this in isolation from PalestineArab neighbors of Zion, Israel defenders? I just could not find one use of the term “Palestinian” ,for the PalestineArab people! This page is citing Einstein as feeling sorry for, PalestineArab people, in this post! But not only does Einstein, not call the Arabs, Palestinian, he does not even call them PalestineArab, as I do! So was Einstein a racist denier of the very existence of PalestineArab folks? Did Einstein think of PalestineArab people, as anybody else, than an Arab empire centric, colonial settler, branch occupier of the land of Israel? Panel discussion organized by CODZ featuring Joel Kovel, Ali Abunimah, and others. Broadcast live on MNN and aired on Free Speech TV. The discussion explores the logic of a one-state resolution to the Israeli-Palestinian conflict and specific steps to achieve that solution. Click here to purchase the DVD.